Editor’s Note: The following was written by Eli C. ('14) and Maddy Y. ('14) in preparation for a presentation on inventions by NASA which later found applications in everyday life. Water is necessary for all living organisms to survive. This concept was particularly prevalent when NASA began planning manned shuttles into space. Initially, when manned space trips were relatively short, the water supply was not as much of a concern. However, as the projects became more intricate, the shuttle trips lasted much longer. With astronauts in space for days, or even weeks, at a time, NASA had to come up with a way to provide a constant source of clean water that could be used for drinking, bathing and other practical uses. The solution was a water purification and recycling program used in the International Space Station. NASA partnered with Umpqua Research Company to create this program which could recycle water in the International Space Station. This system is much cheaper than having to periodically send shuttles up to the station with clean water. One part of the very intricate system uses an iodine resin to kill harmful bacteria. NASA also found a way to use activated carbon in a water filter. Activated carbon removes many harmful substances, especially chlorine, from drinking water. While many people don’t filter water in everyday life, it is actually quite common. Most of the water we come in contact with is filtered at some point throughout its journey. NASA’s research of water filtration in space has actually revolutionized the way that we filter it here on earth as well. Iodine is used on Earth to purify drinking water in many situations. Iodide tablets are used around the world for hikers and campers as well as communities in third world countries that don’t otherwise have access to a clean water supply.. This has had a very positive impact in the fight against thirst in third world countries. Something that is a bit more recognizable for people in New York City is the everyday water filter that many people keep in their fridge. Some examples are Brita Water Filters, PUR water filters, and Aquasana. Many of these companies use filters made with activated carbon, a process invented by scientists at NASA. While creating a water filtration system for spacecraft, NASA happened upon an unforeseen technology. In trying to alter a membrane in his purification process, Dr. Ted Wydeven coated a filter with a thin plastic film through the use of an electric discharge. This was the beginning of a process towards developing a scratch-resistant coating used for astronaut helmet visors as well as any other surfaces of aerospace equipment that might benefit from it. Foster-Grant, a longstanding eyewear company, heard of this new coating and wanted to get their hands on it. 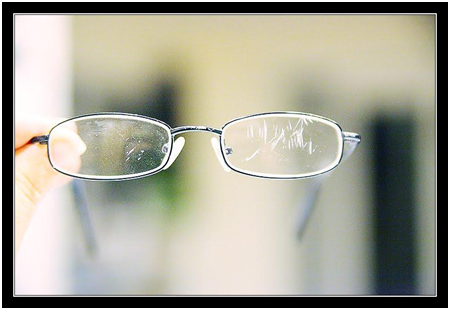 Eyeglass lenses of the time were made of plastic, as a substitute for glass which was prone to shattering. The problem with plastic lenses, unfortunately, was that they didn’t have as strong a resistance to scratches and abrasions as glass did. Foster-Grant began independently researching in an attempt to create their own version of the coating. 10 years into their research NASA granted them the license to use the official scratch resistance coating. Foster-Grant combined what they received from NASA with what they discovered in their research and created a coating very effective in protecting eyeglasses from scratches, a variation of which we continue to use on eyeglasses today. During the 1990’s, a NASA team led by Eric Fossum began research on the development of a miniaturized camera without sacrificing image quality for use on their spacecraft. What they created became knows as the CMOS active-pixel sensor which not only allowed for miniaturized imaging systems but also improved the quality in spacecraft imaging of the time. Because of the low power demands and small size of his camera, Fossum realized they would be useful on Earth as well and began commercializing the CMOS sensors. After being used with great effect in web cameras and dental radiography, the popularity of camera cell phones in the mid 2000’s provided an even wider market for the miniature cameras. By 2008, the CMOS sensor had been used in 1 billion different products worldwide. Even today, as cell phone companies are beginning to develop their own imaging devices, the CMOS sensor can still be found in 1 of every 3 cell phones and nearly every personal computer camera. In addition to these uses, the sensor is produced for use in medical endoscopes and reverse-motion cameras on vehicles. Joshi, Arun. "Advanced NASA Technology Supports Water Purification Efforts Worldwide." NASA. NASA, 23 Feb. 2012. Web. 30 Jan. 2014. Talbert, Tricia . "A Picture of Innovation." NASA. NASA, 06 Mar. 2012. Web. 30 Jan. 2014. Boen, Brooke. "In-Line Water Filtration." NASA. NASA, 28 Sept. 2009. Web. 30 Jan. 2014. Ryba, Jeanne. "From Backpacking to Space Trekking." NASA. NASA, 14 June 2011. Web. 30 Jan. 2014.